3D printing is an increasingly popular technology that saves both time and money for companies worldwide. So how is the automotive industry responding? Ford has just unveiled its new manufacturing center outside of Detroit, which includes several new technologies the brand plans to use to make vehicle parts and speed up production. Among them is a set of 3D printers the automaker is using to create brake parts. Ford's new Advanced Manufacturing Center is located in Redford, Michigan. It integrates collaborative robots ("cobots") which work on assembly lines next to workers, and virtual reality simulation, among other new technologies, according to Advanced Manufacturing. The $43 million property is over 100,000 square feet and has around 100 employees, and the space opened for tours at the beginning of December. Forbes said the new facility houses 23 3D printers based on its 10 partnerships in the additive manufacturing industry. Three of these partnerships are known to be with the companies Stratasys, HP and EOS. Ford bought its first 3D printer in 1988, and has since used the technology to make smaller parts and tools for factories. Other brands, such as GM, have also used the technology to make factory parts. 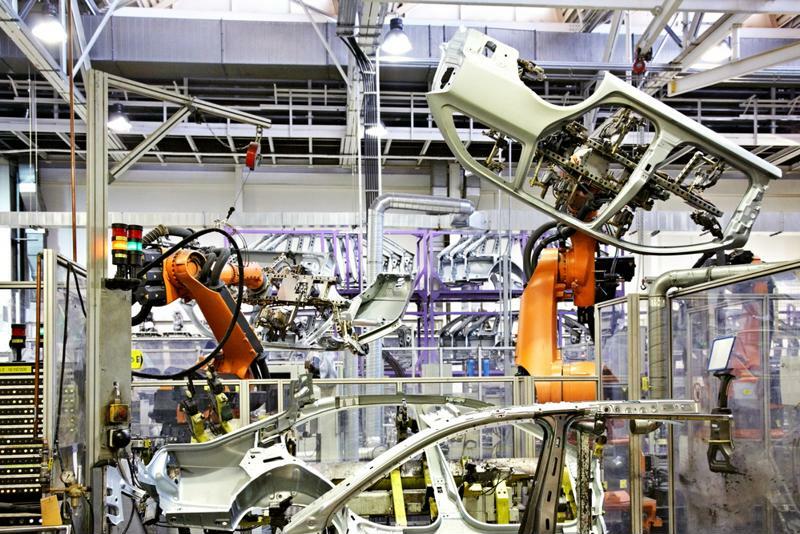 Ford is implementing new technologies such as 3D printing and collaborative robots. Ford announced that the 2019 Shelby Mustang GT500 will include two parts that were 3D printed, which are small black brackets that hold the brake line. This part is integral to supply hydraulic pressure to the brakes. The new model is set to be released in mid-January 2019 at the North American International Auto Show in Detroit, Automotive News reported. 3D Printing News said the new Mustang model will be the most powerful sports car Ford has made. 3D-printed parts and tools can save automakers a lot of money on manufacturing costs. Ford has also engaged a 3D-printed tool to help build its Ranger truck, 3D Printing Media Network reported. These tools speed up the production process, reportedly without having to sacrifice quality at all. Another car brand, GM, has revealed that a 3D-printed seat bracket has 40 percent less mass and is actually stronger than a bracket made conventionally, Automotive News said. If brake and other car parts can be made with 3D printers, the technology could end up saving manufacturers worldwide both time and money, as processes would be more streamlined and parts cheaper and easier to make. New technologies mean new brake regulations and best practices. To ensure brakes and related components are manufactured up to exacting standards, request a complimentary brake testing consultation from Greening.